Mississippi’s legislature passed a pair of bills Wednesday aimed at banning abortion at the time a baby's heartbeat is detected, which occurs as early as six weeks into a pregnancy. 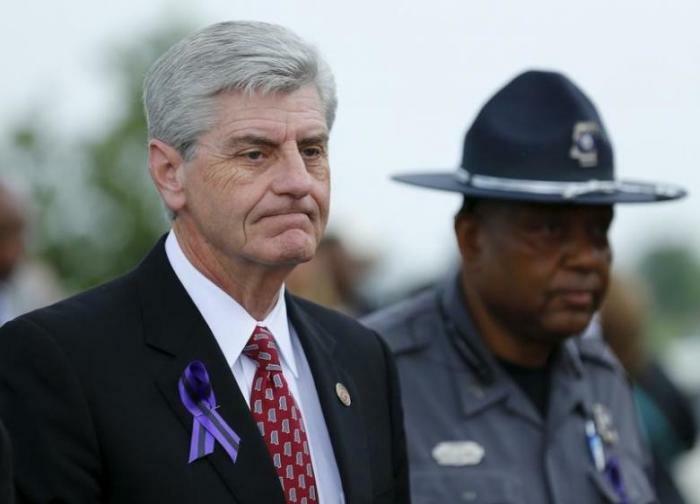 “I’ve often said I want Mississippi to be the safest place for an unborn child in America. I appreciate the leadership of the MS House and Senate, along with members of the legislature, for passing the fetal heartbeat bills today. I look forward to signing this act upon passage,” tweeted Bryant. Felicia Brown-Williams, Mississippi director for Planned Parenthood Southeast Advocates, denounced the bills in a statement. Other states considering similar heartbeat bills include Florida, Kentucky, Ohio, South Carolina and Tennessee, according to The Associated Press. Last month, a district court judge ruled that an Iowa law banning abortion once a baby's heartbeat can be detected was unconstitutional. In his decision Polk County District Judge Michael Huppert cited the Iowa Supreme Court and its previous striking down of a law mandating a 72-hour waiting period for women seeking abortions. “The Iowa Supreme Court held that a woman’s right to decide whether to terminate a pregnancy is a fundamental right under the Iowa Constitution, and that any governmental limits on that right are to be analyzed using strict scrutiny,” wrote Huppert in January. For its part, Mississippi previously passed a law that banned most abortions after 15 weeks, only to have it declared unconstitutional. Last November, the state decided to appeal the decision.